Digital displays have gotten stunningly realistic, but the pictures and objects they show us remain unreachable and untouchable, locked behind cold panes of glass. 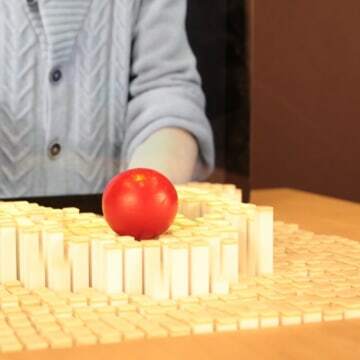 Erasing the gap between person and pixel, designers at MIT have created a shape-shifting table that renders digital information, not in colors or dancing images, but as a solid object in 3-D. In it's zaniest application, the table can mirror the movements of a person which have been recorded on motion capture by a Kinect, and transmitted to the moving display. The video explains it plainly: A person picks up and rolls around a ball on the table. 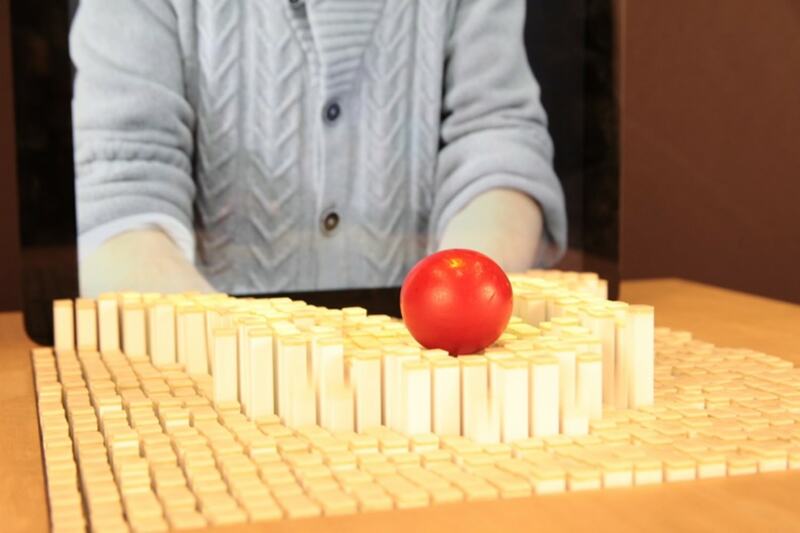 He's pushing air, in front of a Kinect system, but the message is sent to the blocks, which work together to move the ball, taking the shape of the person's arms. "If you use Skype today, you can only see a picture of the person you're talking to," Sean Follmer, a researcher at the Media Lab who built the system, told NBC News. "You can’t touch them, you can’t touch the world around them." But the inFORM system will connect humans over long distances — engineers and architects can poke at and pull apart a model in real time, sort of like a Google Docs, but in 3-D.
Well, 2.5-D, really, Follmer said. The system is limited in that it can't represent shapes like overhangs or because the blocks can only move up and down. Also, the 30-by-30 set of blocks make for a fairly low resolution, "about the size of a thumbtack" on your display screen, Follmer said. When the touch screen came along, it completely changed the way we interacted with the digital space. The glass slab on your tablet became a portal, letting you "flip" pages of an e-book, slice up virtual fruit, stretch a slingshot to launch a grumbly bird. If members of the Tangible Media Group have their way, user interfaces are going to get a lot more touch-feely.